Deviljho is the newest addition to the monsters in Monster Hunter World. This is one of the major updates that the game has received yet, along with the new weapons, armors, and quests. 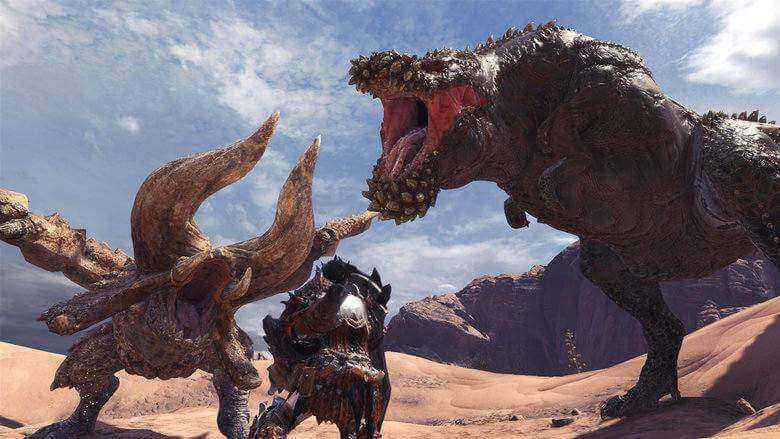 If you’re trying to find it, then this Monster Hunter World guide will help you locate the exact location of Deviljho. Gear up and get ready to hunt! In order to find Deviljho, first you will have to complete the Pink Rathians Special Investigation Quest. It is also required to have a Hunter Rank of 12 because Deviljho is a 7-star monster. After getting done with the quests and getting enough high rank, we can now start locating the monster. Now look at the map and find for the expedition with a question mark. You should find the expeditions with three question mark icons on them, this is an indication of an unknown monster icon. You need to visit these places to know which monster is behind the unknown mark. Visiting these places may be time-consuming but this is the only way to find Deviljho. Once you see Deviljho, don’t hunt it yet, instead return to the headquarter. There you will find three old draft type characters who will then give you the special investigation quest. Now beat down Deviljho and you will receive an optional quest in the menu. All monsters in Monster Hunter World has its weakness. For Deviljho, it is weak against thunder and dragon weapons. To increase the hit damage, target the head, belly, and tail of the monster. All these three parts can be broken where you can carve some Deviljho parts for future crafting. Similar to the other monster, Deviljho offers a lot of items that can be crafted into weapons. Here’s the complete list of weapons that you can craft using Deviljho parts.